Cozy days have arrived – Autumn has come early this year, and for us it could not have come too soon. 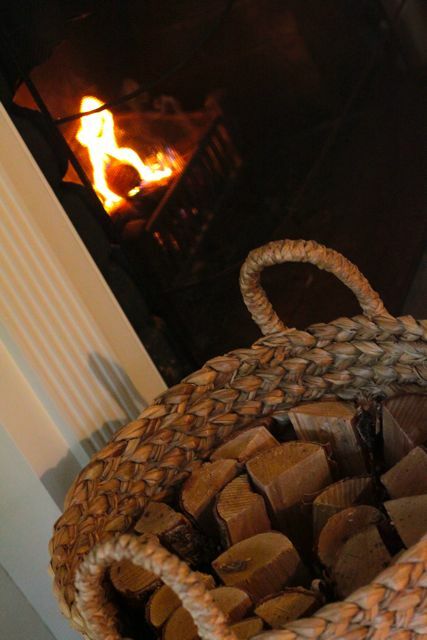 The first signifcantly cooler evening last week was a chance to light our fireplace – and we have done so nightly since! I was a little nervous about lighting it for the first time – I did not want to be disappointed. 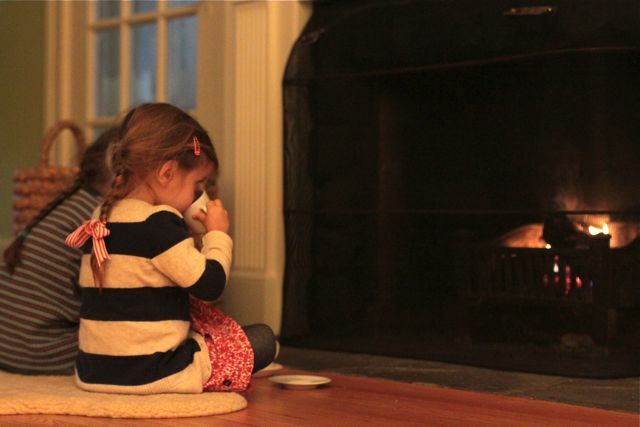 There is an art to building a fireplace and chimney and many a home have fireplaces that do not work well. I know this first hand, as during my childhood we moved around a lot in various rented houses. Mum would always choose houses with fireplaces – and of all the houses we lived in, only one house had a fireplace that actually worked. I recall sitting with my Mother making a perfect fire, that then became a room full of smoke. Which of course is the adverse outcome of fireplace ambiance. 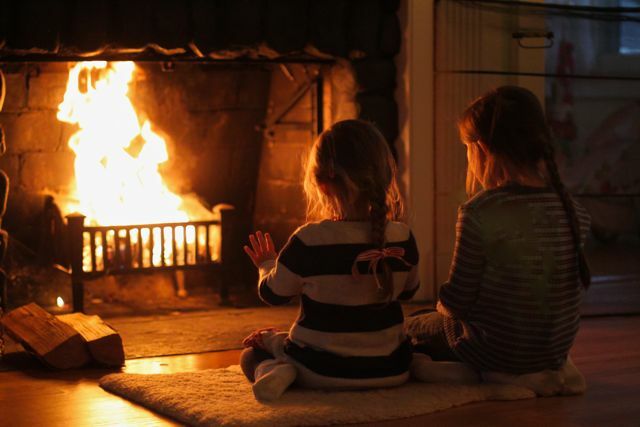 I do however have great fireplace memories too, as my Grandparents and Aunt’s and Uncles all built wonderful working fireplaces, that I have spent many hours sitting at. 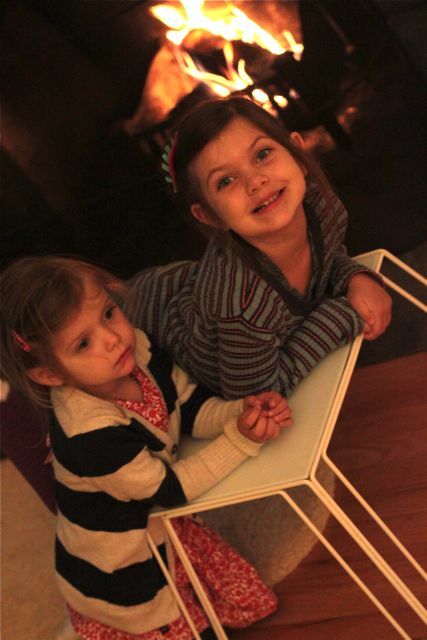 I tell the Girls all about Grandpa’s fireplace that he designed and built. It had a large seat as part of it, and it had vents below that warmed your feet, and up above, that were perfect for hanging pajamas on to warm. As a girl I would run from the bath in a towel and stand on the seat ledge to dry off in front of the fire. I would then put on my hot toasty bed clothes that had warmed while I bathed. The Girls thought this all sounded good for them also. 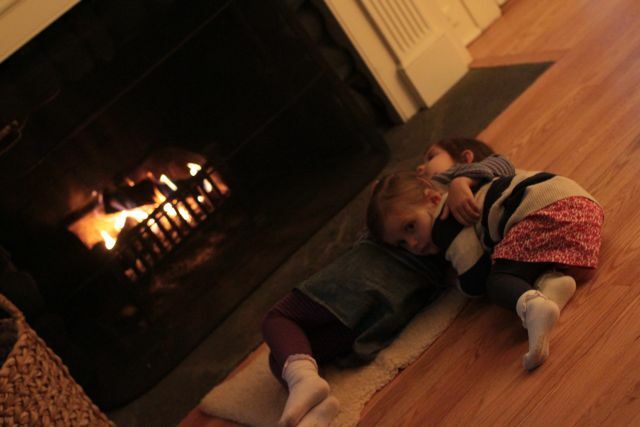 Thankfully our new (very old) fireplace works beautifully, and Maya and Elle will have great fireplace memories. There is something very special about sitting around the hearth, making and tending a fire together, watching the wood burn, the flames leap, dance and die. We are all mesmerized by it, and it brings a wonderful calm to our nightly routine. 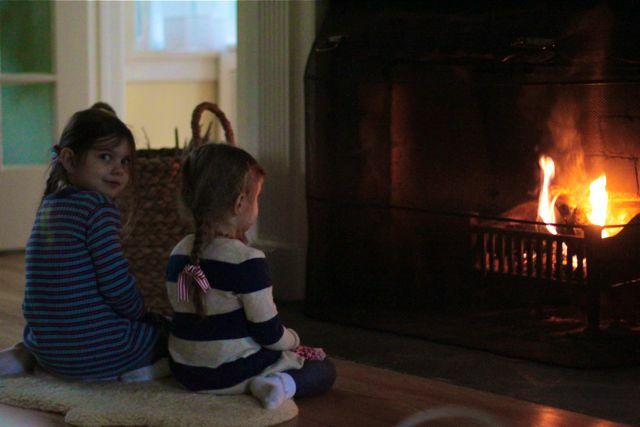 The Girls sit quietly and fire gaze, listening to the burning pine cones crackle. Last night Maya said “The coals are like jewels, they are glowing like rubies!”. I never tire of collecting kindling, building a fire and cleaning the fire place. I love every aspect of it, it is earthy, and makes me feel alive and connected. Fire was before so much, important to mankind. It is rewarding to see the source of heat, and know that is does not come from gas or electricity, and that we can create heat in our home in a fundamental way. I am enjoying teaching the Girls the process of making fires and I now have two very good paper scrunchers. 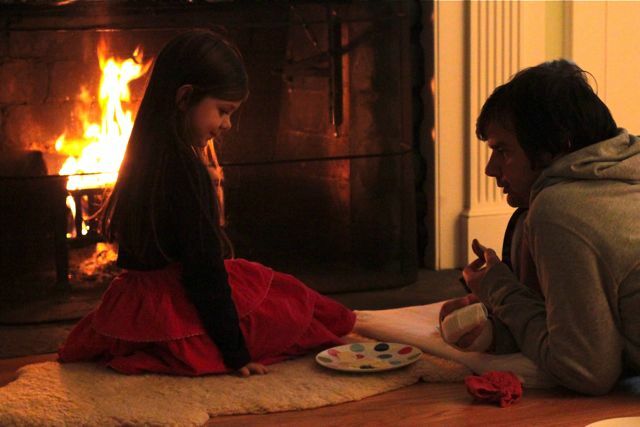 Building a fire is a ritual, it makes our home feel warm and cozy, and calm and gentle at the same time. 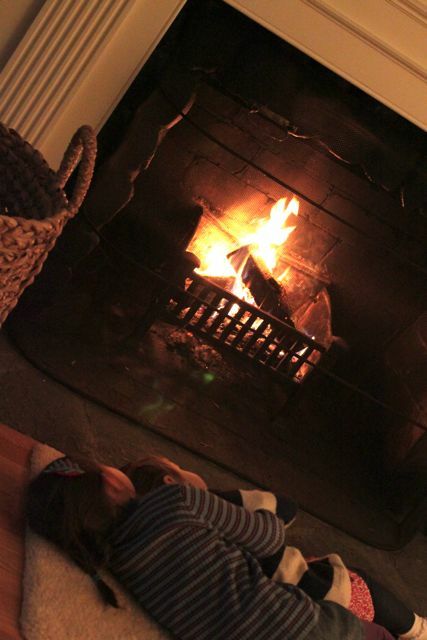 It is very nice to come out of the kitchen and see the Girls curled up and snuggling by the fire, and lovely to see Cam relaxing by it after a day of work. I am looking forward to long cozy Sundays this Winter when the fire rages all day. This entry was posted in P L A Y and tagged autumn, home.